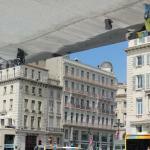 The offer of accommodation in Marseille is extremely varied and articulated. 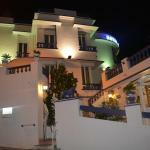 The choice ranges from the many bed & breakfasts, 2-3 star hotels, up to super luxury hotels. Marseille is a great metropolis, the second in France after Paris, with one of the most important ports in the Mediterranean. From here ships, freighters and ferries leave to sail around the world, and the airport of Marseille Provenne is also one of the busiest in Europe. The city offers tourists many historical and cultural attractions, such as the cathedral Notre-Dame de la Garde, Palais Longchamp - a park hosting an important archaeological museum, Palais du Pharo within the old harbour, Vieux-Port, Fort Saint Jean and so on. There are also many museums: Galerie de la Friche Belle de Mai, the archaeological museum Centre de la Vieille Charité, the Musée Cantini – with its collection on Surrealism and, of course, the Musée d'histoire du Marseille, within Vieux Port, the old harbour. The Old Harbour is the historical centre of Marseille, at the end of rue Canebière, a very vibrant place and always crowded with people, with restaurants, clubs and many hotels. Belsunce is instead a district extending around Rue d’Aix, a residential district, but still very interesting to visit both day and night. Le Panier is the oldest district of the city, near Vieux Port and towards Rue de la Republique. Le Panier is characterized by narrow streets, restaurants and taverns where also citizens, along with tourists, love to spend pleasant evenings. Located in the heart of Marseille, Kyriad Marseille Centre Rabatau rises a few kilometers from the old port of Marseille, La Canebière and Velodrome Stadium. 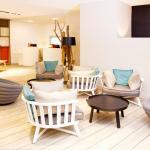 Pullman Marseille Palm Beach boasts a great location near the sea, between the Old Harbour and the Convention Centre of Marseille. Nearby you can enjoy many outdoor sports.